Working from home definitely has it's perks, it also means that I have developed a serious soft spot for premium lounge wear and slippers. As I spend a lot of time at home working it's important that I feel comfy but I also like to maintain a sense of style too. 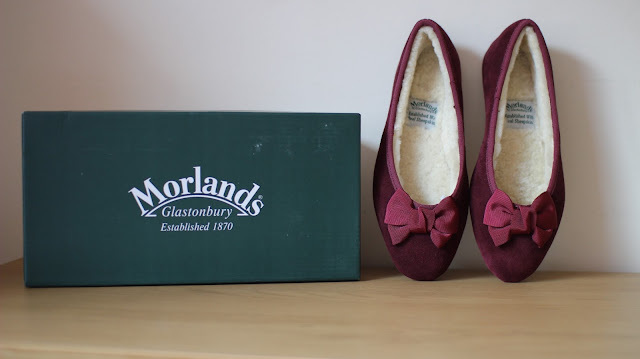 Recently I have had the pleasure of trying some new slippers from the brand Morlands Glastonbury who specialise in luxury footwear. 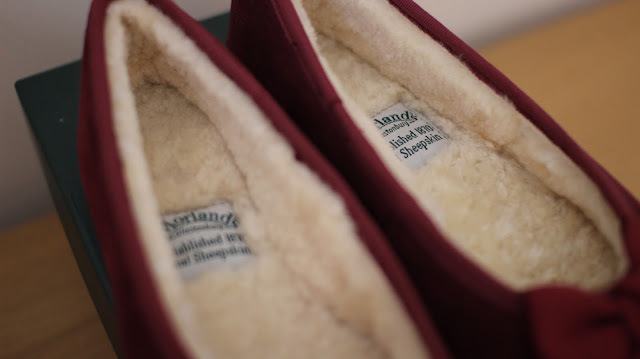 When it comes to choosing your slippers or boots you can rest assured that you are in safe hands as they have an impressive heritage spanning over 150 years. The slippers arrived very promptly and I was blown away by the quality and craftsmanship that has clearly gone into their creation. Each slipper came in it's own individual dust bag along with a shoe horn, admittedly I do not use the horn but it is a nice gesture. 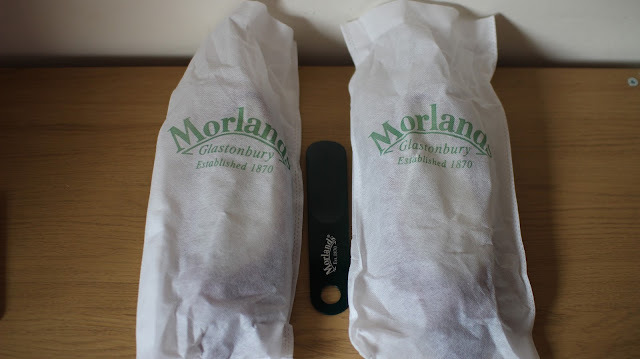 Morlands Glastonbury cater for both men and women and there are so many options to choose from. 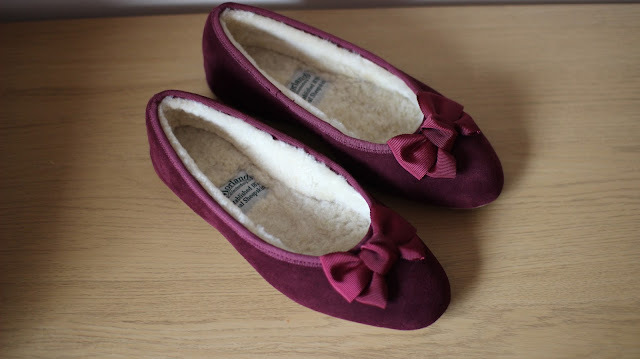 They offer a range of both traditional and more modern styles so that everyone can find a pair to suit their taste, in some cases the slippers come in a variety of different colours too. 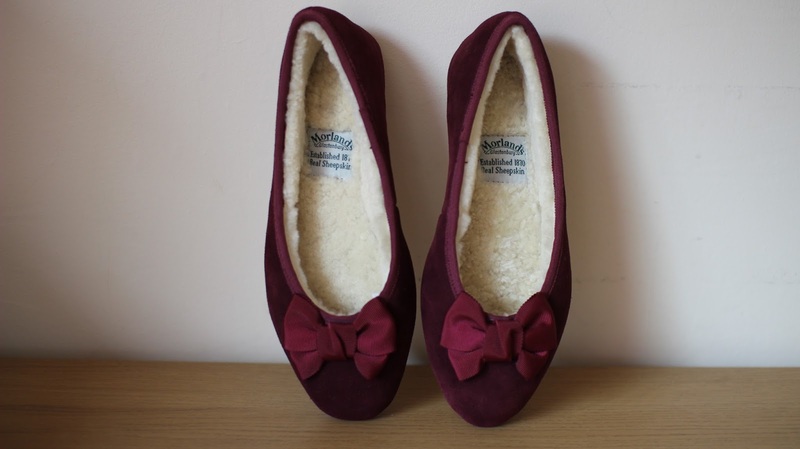 I selected the Ballerina Slipper which are a gorgeous ruby red flat lined with a fluffy, cream interior. I know they are not sparkly but they really remind me of Dorothy's shoes from The Wizard Of Oz... If only they had transportation powers. 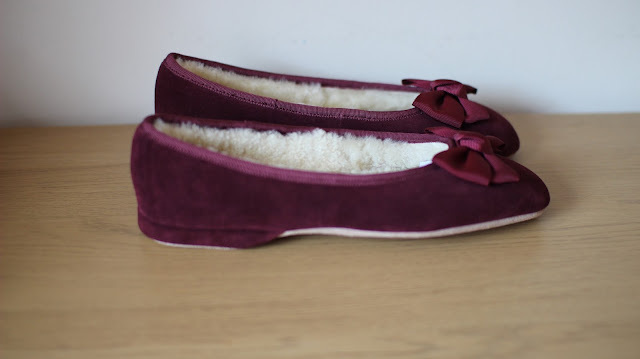 The slippers are made out of a combination of suede and real sheepskin meaning they are super toasty and warm. 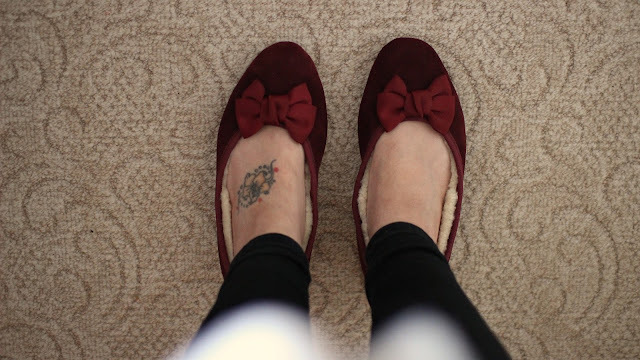 When I wear them I almost feel like I am walking on a fluffy cloud especially after a long day. Comfort is they key and their very slight heel makes them very easy to wear. You can see that a lot of love, care and expertise has gone into their design. The style is also very delicate and has a gorgeous bow on the front, at first glance you can't immediately tell that they are slippers so they look great when paired with regular clothes when dotting about the home. Made with the signature, luxury Morlands Sheepskin ensures superior warmth throughout the colder months and optimum comfort. This particular style normally retails for around £54 but right now they are on sale for around £45, so it's definitely worth checking them out sooner rather than later if you're interested. 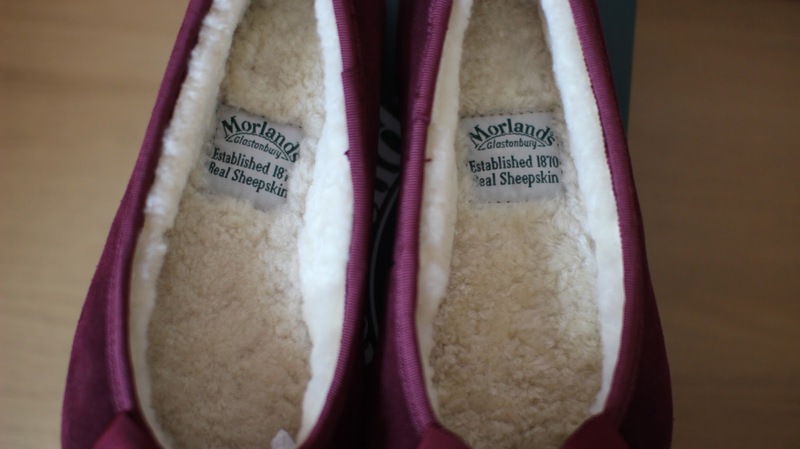 Morlands has really impressed me and as I am sat typing out this blog post, sipping on my Earl Grey I have to say that my new slippers are making me all kinds of happy....not too mention cosy.